Rex Koga caught his grander during a solo fishing trip on the Windward Coast of Oahu. 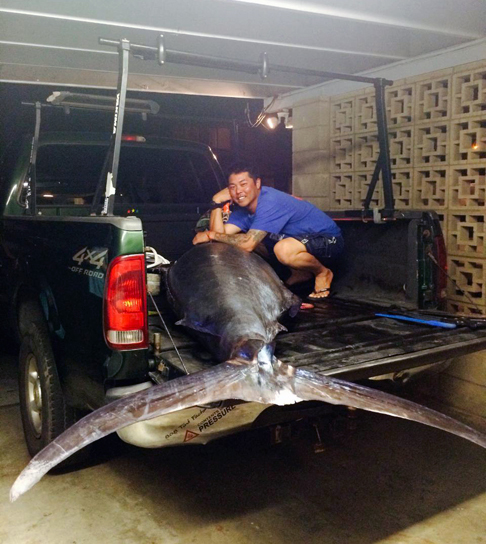 He towed the fish 25 miles to Heeia Kea, but the scale was unavailable. The IGFA marlin weight chart showed the fish to weigh 1040.7 lbs (110" length and 87" girth). Rex battled the marlin for an hour and 15 minutes.